Traditional Irish Potato Bread, Tastes Amazing Toasted with Bacon, Cheese or a Boiled Egg. Great taste 2014. Toast me. Yeast free. 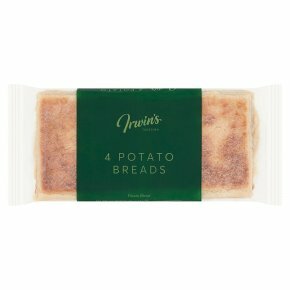 Suitable for vegetarians.Packed full with Irish potato and baked on a traditional hotplate. Delightfully crisp on the outside and smooth on the inside when toasted.